An update for the HTC Rezound has been approved by Verizon this morning as build 4.05.605.14. This is not Jelly Bean, I repeat, this is not Jelly Bean. It does add global roaming support, though, a feature I thought should have been added, oh, a year ago. But hey, it’s there now! The update also includes updates and improvements to bloatware, along with improvements to Skype video calling, device stability, and data connectivity. And that’s about it. 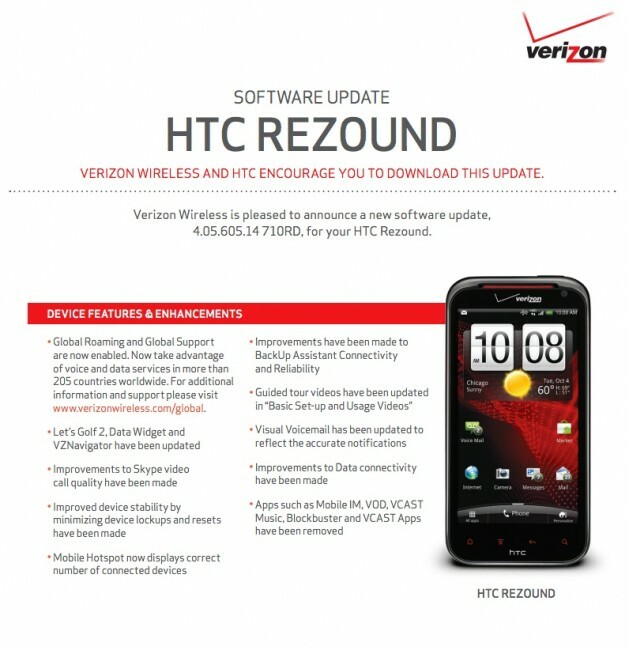 Since Big Red has approved the update, one would assume that it will start to rollout in a matter of days. The update is 207MB in size.